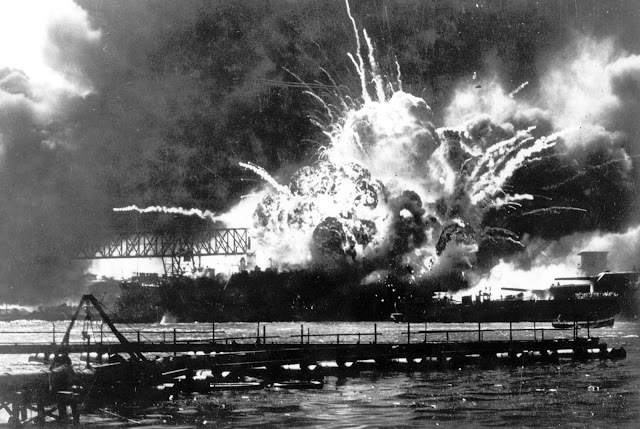 This week shall include December 7th Two Thousand Sixteen, which marks the 75th Anniversary of Pearl Harbor. For many of our parents and grand parents, it truly was "a date that will live in infamy". 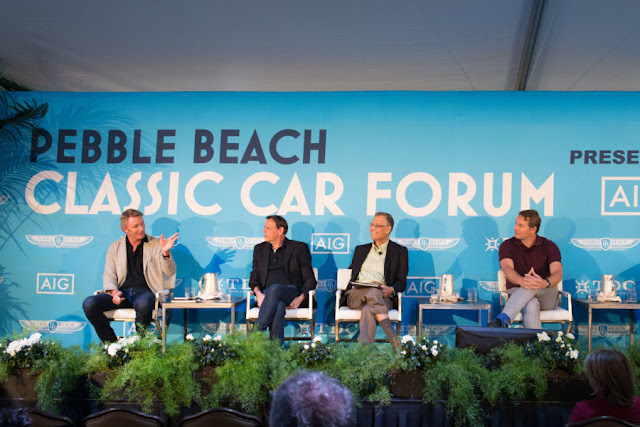 Despite the event occurring seventy-five years ago, new details are changing the story. An untold number of our readers will also remember how, although years later, we experienced "the War" through movies and shows on our B&W TV's. And a great many of our more youthful followers likely had their first exposure to the catastrophe via the Internet or the 2001 cinematic version of the story. We came across the following videos which according to details, your viewing access will expire December 22, 2016. Therefore should you find these videos interesting and want to share, please forward links to this post ASAP. The following six videos are from the PBS Special "Pearl Harbor - Into the Arizona" a TV program about a scientific team that explored the USS Arizona below deck. 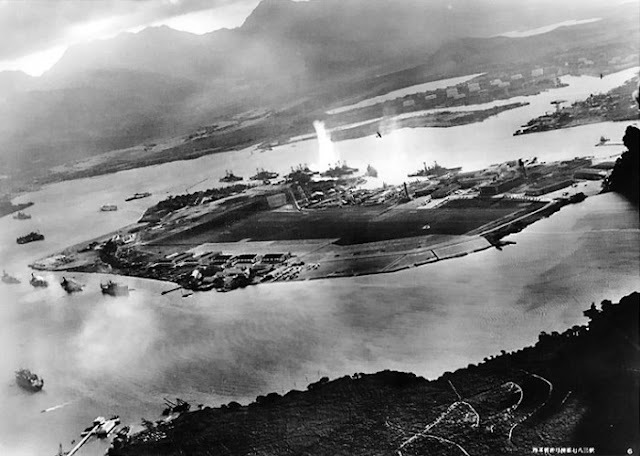 On December 7, 1941, the Japanese military launched a surprise attack on the United States Naval Base at Pearl Harbor, Hawaii. 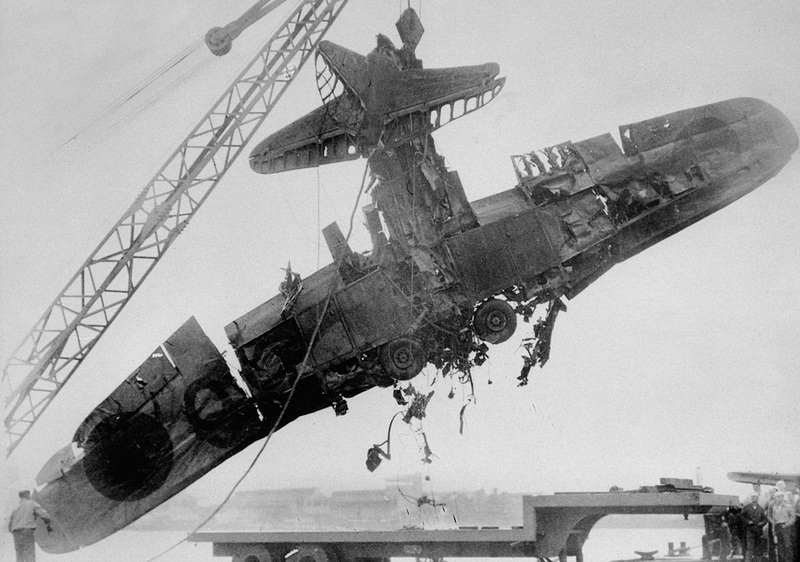 Since early 1941 the U.S. had been supplying Great Britain in its fight against the Nazis. It had also been pressuring Japan to halt its military expansion in Asia and the Pacific. 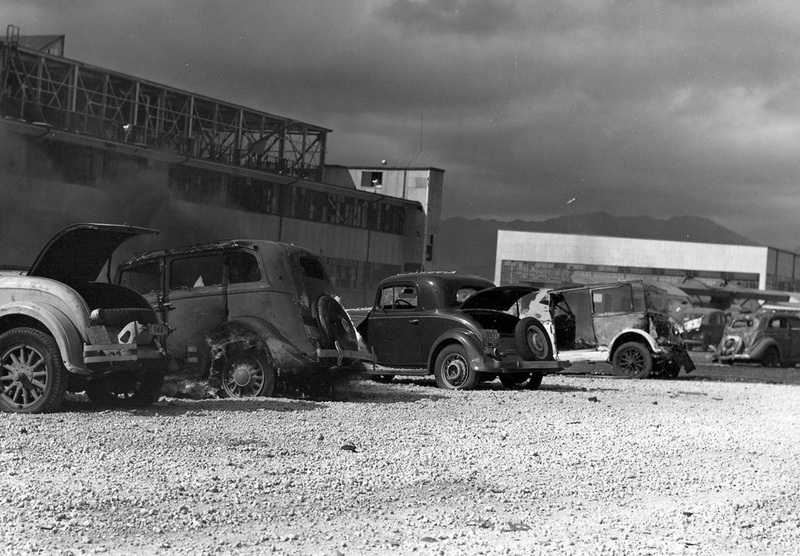 With the Japanese attack on Pearl Harbor, the U.S. could no longer avoid war. On December 8, U.S. President Franklin Delano Roosevelt asked Congress for and received a declaration of war against Japan. 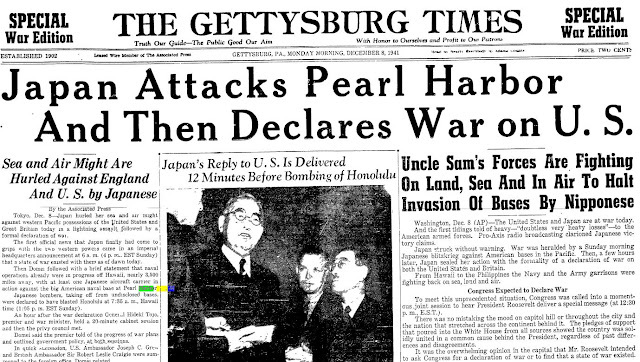 On December 11, Germany and Italy, allied with Japan, declared war on the U.S. The United States had entered World War II. Japanese Admiral Isoroku Yamamoto conceived the Pearl Harbor attack and Captain Minoru Genda planned it. Two things inspired Yamamoto’s Pearl Harbor idea: a prophetic book and a historic attack. The book was The Great Pacific War, written in 1925 by Hector Bywater, a British naval authority. 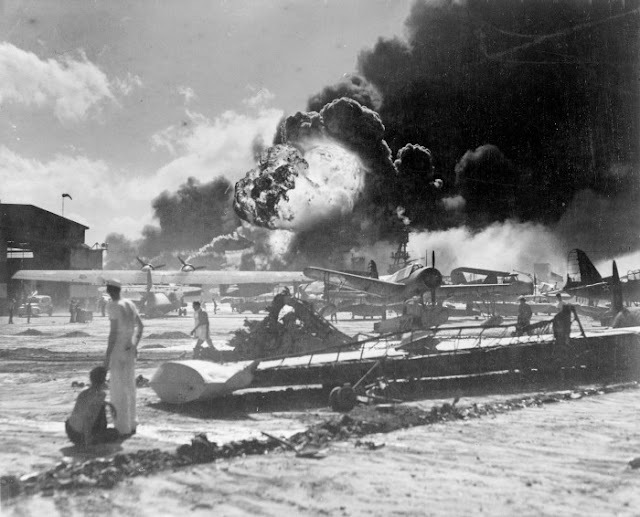 It was a realistic account of a clash between the United States and Japan that begins with the Japanese destruction of the U.S. fleet and proceeds to a Japanese attack on Guam and the Philippines. When Britain’s Royal Air Force successfully attacked the Italian fleet at harbor in Taranto, Italy on November 11, 1940, Yamamoto was convinced that Bywater’s fiction could become reality. On December 6, 1941, the U.S. intercepted a Japanese message that inquired about ship movements and berthing positions at Pearl Harbor. The cryptologist gave the message to her superior who said he would get back to her on Monday, December 8. On Sunday, December 7, a radar operator on Oahu saw a large group of airplanes on his screen heading toward the island. 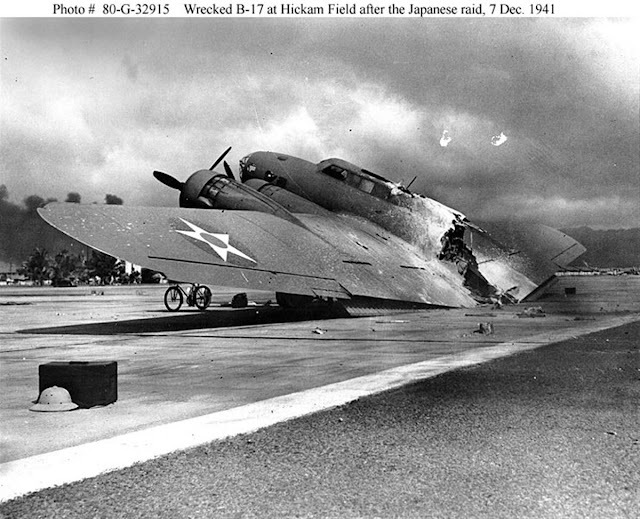 He called his superior who told him it was probably a group of U.S. B-17 bombers that had been scheduled to arrive that day and not to worry about it. The Japanese attack on Pearl Harbor began at 7:55 that morning. The entire attack took only one hour and 15 minutes. Captain Mitsuo Fuchida sent the code message, “Tora, Tora, Tora,” to the Japanese fleet after flying over Oahu to indicate the Americans had been caught by surprise. The Japanese planned to give the U.S. a declaration of war before the attack began so they would not violate the first article of the Hague Convention of 1907. But the message was delayed and not relayed to U.S. officials in Washington until the attack was already in progress, turning Pearl Harbor into a sneak attack! The Japanese strike force consisted of 353 aircraft launched from four heavy carriers. These included 40 torpedo planes, 103 level bombers, 131 dive-bombers, and 79 fighters. The attack also consisted of two heavy cruisers, 35 submarines, two light cruisers, nine oilers, two battleships, and 11 destroyers. 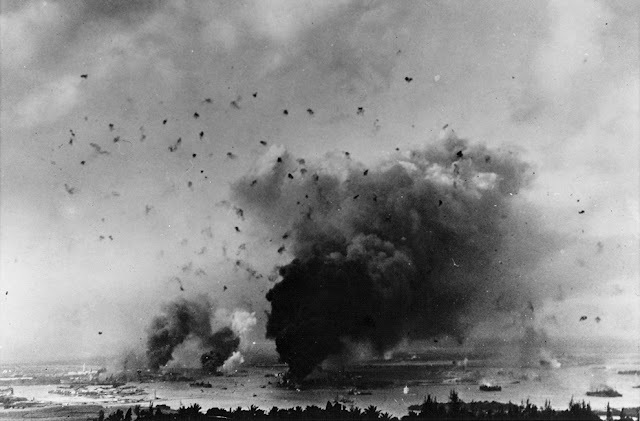 The attack killed 2,403 U.S. personnel, including 68 civilians, and destroyed or damaged 19 U.S. Navy ships, including 8 battleships. The three aircraft carriers of the U.S. Pacific Fleet were out to sea on maneuvers. The Japanese were unable to locate them and a planned 3rd wave of attack planes was never launched. The U.S. still had their carrier fleet intact. 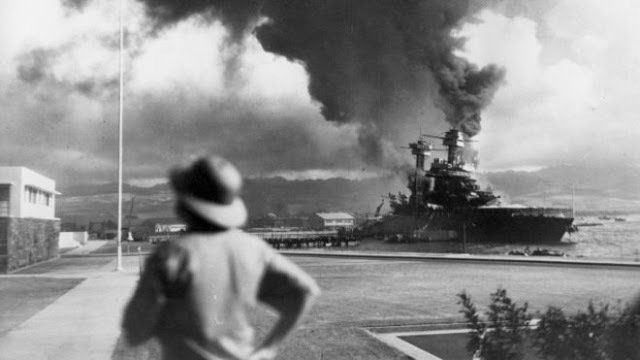 The battleship USS Arizona remains sunken in Pearl Harbor with its crew onboard. Half of the dead at Pearl Harbor were on the Arizona. A United States flag flies above the sunken battleship, which serves as a memorial to all Americans who died in the attack. Dorie Miller, a steward on the USS West Virginia, distinguished himself by courageous conduct and devotion to duty during the Japanese attack on Pearl Harbor. He first assisted his mortally wounded captain and then manned a machine gun, which he was not accustomed to operating, successfully destroying two Japanese aircraft. He was the first African American awarded the Navy Cross, the service’s highest award, for his actions during the attack. The Japanese lost 29 aircraft and 5 midget submarines in the attack. 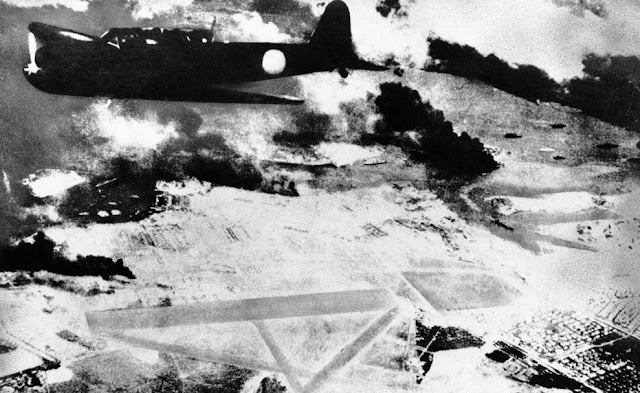 One Japanese soldier was taken prisoner and 129 Japanese sailors and airmen were killed. Out of all the Japanese ships that participated in the attack on Pearl Harbor only one, the Ushio, survived until the end of the war. It was surrendered to the U.S. at Yokosuka Naval Base. When Admiral Yamamoto learned that his forces had not destroyed the U.S. aircraft carriers or completely destroyed the U.S. fleet, he feared that the United States, with its enormous industrial potential, would soon recover and fight back. The United States did recover—and quicker than Yamamoto could have imagined. After only six months, the U.S. carrier fleet dealt a decisive blow to Yamamoto’s navy in June 1942 at the Battle of Midway, sinking four Japanese aircraft carriers. After this victory came the three-year U.S. island-hopping campaign and the eventual defeat of the Japanese Empire in August 1945.